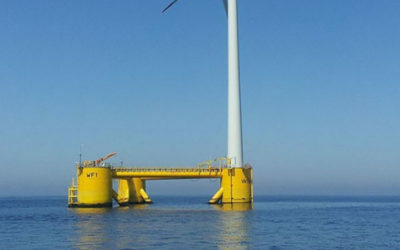 Production automation for wind towers and foundations – Solutions for offshore and onshore demands. The best productivity rate and premium quality in onshore and offshore demands can be reached by using hi-tech and modern welding and production automation. 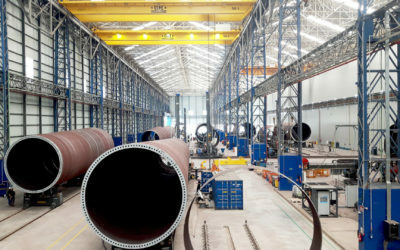 PEMA solutions for wind tower and foundation production have been proven to increase overall efficiency in production plants. PEMA welding and production automation solutions for offshore tower manufacturing. Explore PEMA production automation solutions for onshore wind tower manufacturing. PEMA wind energy welding and production solutions are designed especially for steel structure welding and production automation for wind towers and foundations. We are able to provide you with tools to increase the capacity and quality of your end product and thus raise your level of competitiveness. All lines are modular and designed based on the customer’s production capacity needs. To ensure your production capacity from raw material to an inspected final product, you can rely on PEMA’s fully integrated systems. The integrated system from one supplier does not only ensure capacity, but also gives you guaranteed quality. PEMA’s integrated production line provides high quality with minimum repairs and production stops, which is the key to a successful project. Greater control at all stages of mass production means higher quality and fewer repairs, which means to higher profits for our customers. 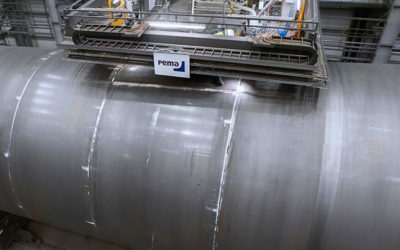 As a result from continuos R&D, Pemamek has a patented solution for door frame cutting and welding.